Leading Manufacturer of constant voltage transformer from Ghaziabad. 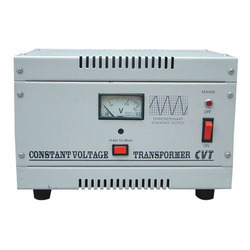 We are counted as a reliable manufacturer and supplier, offering the optimum quality of Constant Voltage Transformer. Designed as per the industry laid norms, the offered constant voltage transformers are known for their optimum performance, less maintenance, and overload protection. Our clients can avail the constant voltage transformers in various specifications.